The Best SAAS Marketing Blogs from thousands of SAAS Marketing blogs on the web using search and social metrics. Subscribe to these websites because they are actively working to educate, inspire, and empower their readers with frequent updates and high-quality information. SAAS Marketing newsletter is a comprehensive summary of the day's most important blog posts and news articles from the best SAAS Marketing websites on the web, and delivered to your email inbox each morning. To subscribe, simply provide us with your email address. Yerevan, Armenia About Blog Incredo is a SAAS inbound marketing agency and HubSpot Gold partner based in Armenia. We are also one of the Top 10 Content marketing agencies in the world. Latest inbound marketing, content marketing, paid advertisements insights, web design and development news, mobile and web apps marketing tips and strategies available on our Incredo Blog. Facebook fans 2,347. Twitter followers 769. About Blog I’m Peter Cohen, principal of SaaS Marketing Strategy Advisors, and the author of the "Practical Advice on SaaS Marketing" blog. Before I started my own firm and this blog, I'd spent many years in marketing positions with Lotus, IBM, and other companies. I started SaaS Marketing Strategy Advisors and this blog to share that experience with my clients. I focus on providing practical, actionable advice that has measurable impact. Chennai, India About Blog Vajra is a SaaS Marketing Agency that crafts smart solutions to boost sales by strategising to increase lead generation, close and retain more customers.They offer Digital Marketing, Content Strategy, Analytics and Mobile App Marketing. Get to know what's new and trending in the digital marketing (SaaS and non-SaaS) world with Vajra's informative blog posts. Facebook fans 208. Twitter followers 258. San Francisco About Blog SaaStr is the only non-vendor destination where SaaS companies can come together to learn and grow their businesses through content, events and team training. Facebook fans 6,774. Twitter followers 52,658. About Blog CloudKettle helps SaaS companies improve their Sales, Marketing and Customer Support activities by leveraging Salesforce and integrated tools. Follow this blog to learn more about SaaS Sales and Marketing. Facebook fans 170. Twitter followers 2,772. About Blog App Marketing Minds provides SaaS companies with sales, marketing strategy and execution, content marketing, customer success. Follow this blog for tactical and practical advice related to SaaS sales & marketing. Read more about lead generation, SEO, content marketing & SaaS sales. About Blog Preceptist, a content marketing agency for SaaS companies helps you get authoritative media exposure, convert traffic to leads and build resilient customer retention. This is a SaaS content marketing blog that focuses on strategies, trends, case studies, whitepapers, checklists, media exposure, leads generation and customer retention. 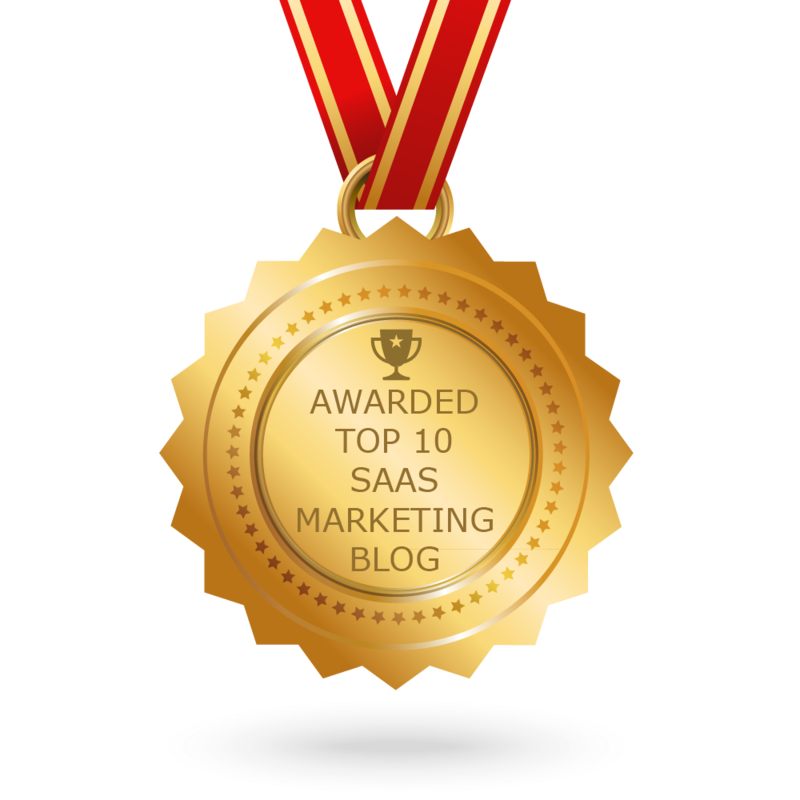 CONGRATULATIONS to every blogger that has made this Top SAAS Marketing Blogs list! This is the most comprehensive list of best SAAS Marketing blogs on the internet and I’m honoured to have you as part of this! I personally give you a high-five and want to thank you for your contribution to this world.